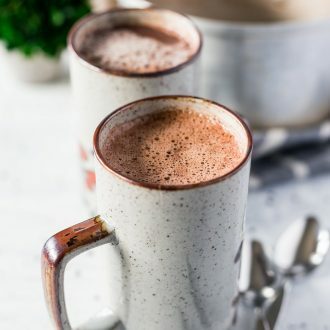 This Irish Cream Hot Chocolate is loaded with creamy and delicious flavor and the perfect hot cocktail to cozy up with on chilly nights! Hey friends, sorry it’s been a week since I last posted, but I figured I’d start the week off strong (literally) with this Irish Cream Hot Chocolate. I got a little caught up in the holiday and family visiting and a little behind thanks to prepping for my big European Christmas Market Trip. I’m currently sitting in the airport in Paris waiting for everyone else to get here before we set off, and wish I had one of these mugs in hand to wake me up or put me to sleep, honestly, I’m not really sure right now, I’m in that weird in-between of not having slept in over 24 hours and not wanting jet leg to get the best of me during this trip. So anyway, I love specialty hot chocolates. I try to find the best ones everywhere I go and I try to create fun ones at home to sip throughout the chilly New England months. And, of course, my favorite way to spruce them up is by spiking them! 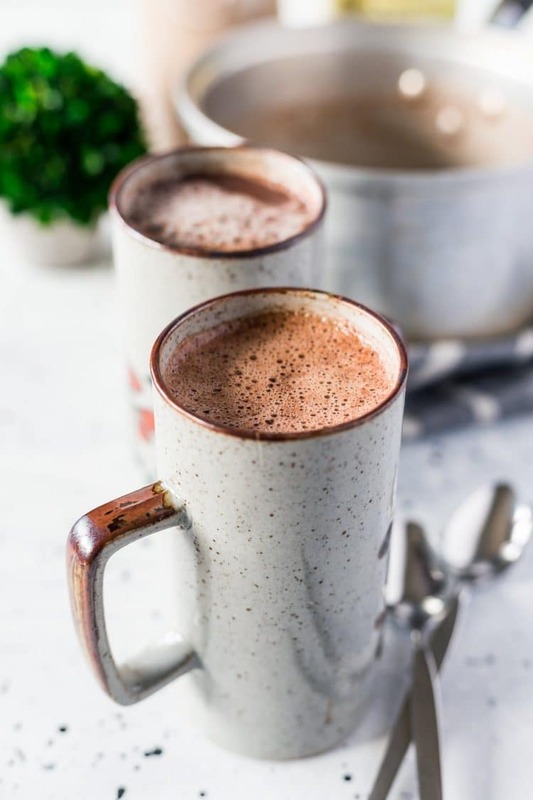 This Irish Cream Hot Chocolate is made with my delicious Homemade Irish Cream, powdered sugar, chocolate, and creamy whole milk. You can top it with homemade whipped cream, homemade marshmallows, or skip the toppings (but why would you?). 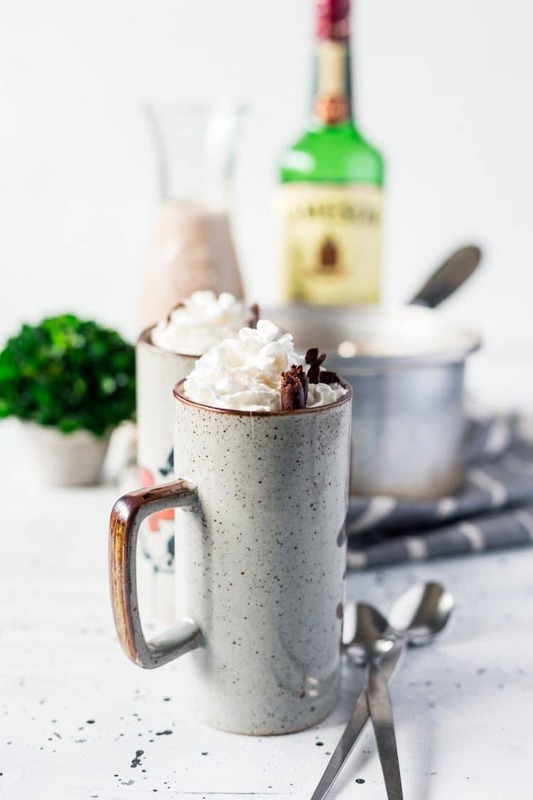 This delicious hot chocolate cocktail will last you through the holidays and right on to St. Patrick’s Day! Combine milk, Irish Cream, and sugar in a medium saucepan and bring to a light simmer over medium heat. There should be bubbles around the edge of the pot before removing from heat. 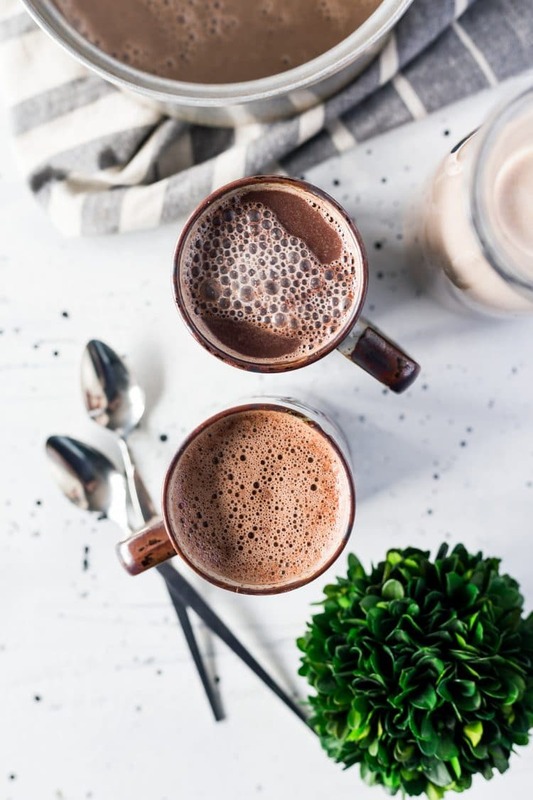 Whisk the melted chocolate into the milk mixture in the saucepan off the heat, pour into 2 mugs and top with whipped cream and chocolate curls or a dusting of cocoa.